Amidst all the feverish talk of acquisitions and divestitures in the services industry of late, spare a thought for one dynamic service provider focusing its growth the organic way: Genpact. The business process service giant has been stealthily hiring talent left right and center in recent times - mainly from its competitors - as it sharpens its focus on operations services in the finance, procurement and supply chain business services markets. 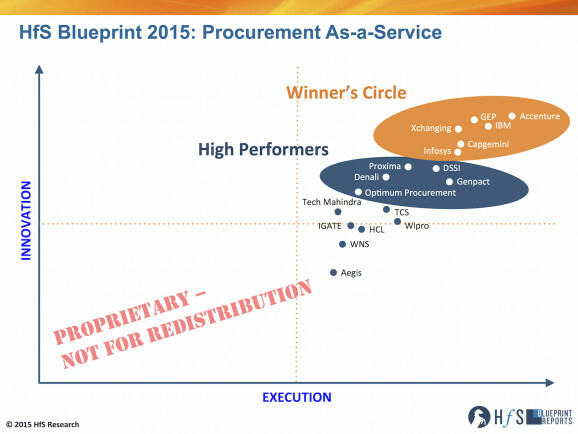 In June of 2015, we published our HfS Blueprint on Procurement As-a-Service which the continued evolution of this market around end to end and modular solutions enabled by cloud technologies and supported by ever deeper category management expertise. At that time, we placed Genpact as one of our “High Performers” with strengths in transactional procurement, process automation, geographic reach and a focus on continuous improvement. But we also felt that by comparison to the market leader Accenture, Genpact still had to further develop capabilities in category management, market intelligence and transformational procurement consulting to challenge for a leading position across the entire market. We thought that Genpact would likely combine an inorganic acquisition strategy with organic activities such as the aggressive recruitment of category managers and rolling out new technology investment to make a push to move into our Procurement “Winner’s Circle” in 2016. And while we saw signs of the organic activities from Genpact in the 2H of 2015 as some of the other service providers stayed put, we kept waiting to see a coordinated inorganic play as well as 2015 came to a close. So, now it's here, the announcement that Genpact has pulled off a combined inorganic and organic play with the announcement of the integration of the transformational procurement consultancy of Strategic Sourcing Excellence (SSE) led by former Astra Zeneca CPO, Jon Kirby. 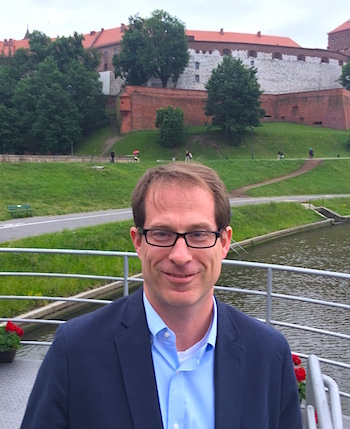 Jon will be joining as the new lead for source to pay services within the CFO Services and Consulting Groups led by Shantanu Ghosh. As we have noted for the last several years, it’s a continuing struggle for all of the major procurement service providers to attract and retain sourcing and category management experts. It’s a “seller’s market for procurement buyers” if you will. Since consulting skills and category management talent are what is key to driving benefits for enterprise clients in procurement outsourcing, they have to be sourced. Hiring individual talent is a time consuming and risk strategy but it’s also easy to over-pay for talent in an acquisition who might not be properly incented to stick around after the deal is done. So there’s an inherent logic to buying just enough talent and leadership to then accelerate the effectiveness of the organic investments as well, which is what we believe Genpact has decided to do. Drive the further adoption of As-a-Service solutions and commercial models and to move Genpact away from its historic focus in transactional procurement deals that were build around FTE or transaction based pricing alone. Respond to the demand from clients for greater depth in category management (on-shore and off-shore) both in broad indirect categories of spend and in niche areas where the long tail of spend in a client creates cost and operating challenges today. Reinforce the existing investments in spend analytics and operating insights with a greater business results orientation rather than performance management analytics alone. Expand the investment in process automation and cognitive tools to replace human agent involvement in procurement processing as well as in sourcing and category management tasks. Maintain the incumbent relationships for transformational consulting skills with third parties such as AT Kearney to supplement the still growing reach of the source to pay team inside Genpact. Develop both end to end transformational consulting based solutions for enterprise clients in key verticals while also allowing clients to source more modular, technology and expertise based offerings as required.